Blackthorn (Prunus Spinosa) Blossom. Springtime, Uk. 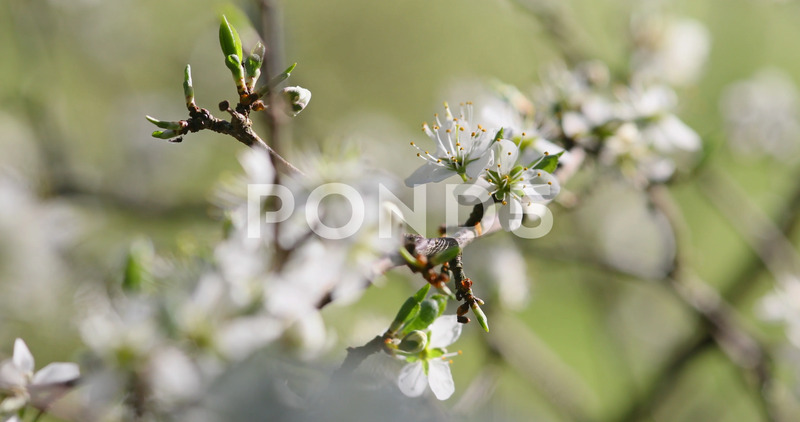 Description: Blackthorn (Prunus spinosa) blossom swaying in a gentle breeze. Hedgerows in springtime. North Wales, UK.